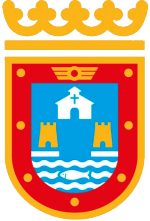 The municipality of San Javier has three main offices giving tourist information to visitors, as well as two information points. The tourist offices are located in Santiago de la Ribera, on the ground floor of the town hall in San Javier and at the start of La Manga. There is a tourist information point located in the San Javier Airport, as well as one at kilometre 12-13 of La Manga del Mar Menor. Due to its location on the fringes of the Mar Menor and Mediterranean, San Javier has a period of intense summer tourism activity during the peak summer months, although it is popular with retirees of all nationalities out of peak season. Tickets for the annual San Javier Jazz Festival can be purchased at the Festival office in San Javier Town Hall, Plaza de España. Santiago de la Ribera: Monday to Friday 9.00 to 14.00 and 18.30 to 20.30, weekends and public holidays 10.30 to 13.30 (telephone 968 571704). 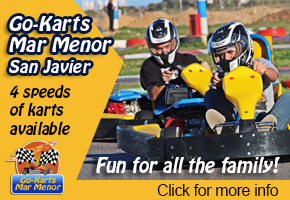 La Manga del Mar Menor: Monday to Friday 10.00 to 13.30 and 16.00 to 18.00, weekends and public holidays 10.30 to 13.00 (telephone 968 146136). Saturday in Low Season and Saturday, Sunday and Holidays in Mid and Peak Seasons: 10.30am to 1.30pm. The tourist office in Santiago de la Ribera is located a little way back from the seafront in the public garden on Calle Padre Juan (click for map). 1st July to 15th September: Mon-Fri 9.00 to 14.00 and 18.30 to 20.30, weekends and public holidays 10.30 to 13.30. 16th September to 31st October and Easter to 30th June: Mon-Fri 9.00 to 14.00 and 17.00 to 19.00, weekends and public holidays 10.30 to 13.30. 1st November to Easter: Mon-Fri 9.00 to 14.00 and 16.00 to 18.00, weekends and public holidays 10.30 to 13.30. Address: Gran Vía Km. 0, La Manga del Mar Menor, 30380. Peak season, 15th June to 15th September: Every day from 11:00 to 18:00.